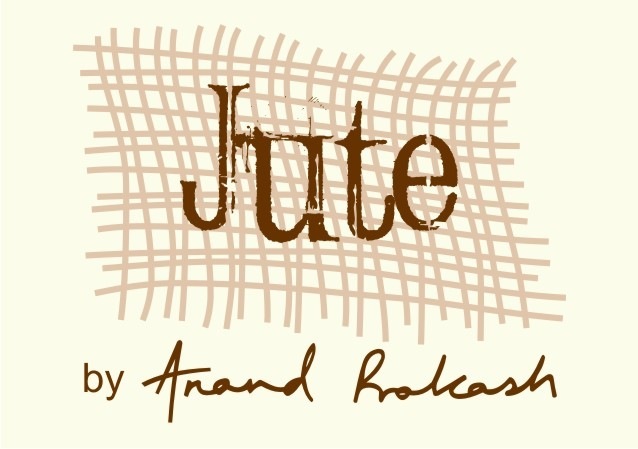 Jute is a natural fibre that I immensely love. I have been working with it for quite some time now. using tid-bits here and there. 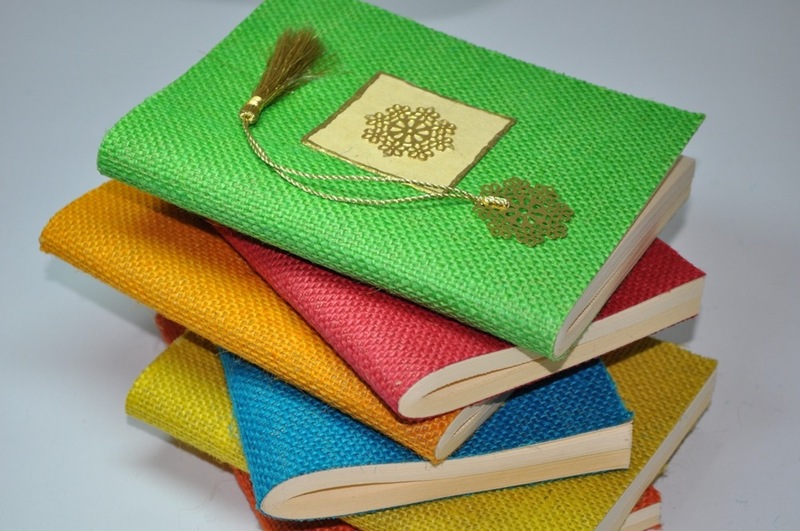 I have now released a journal with covers in bright hues made from jute fibre. 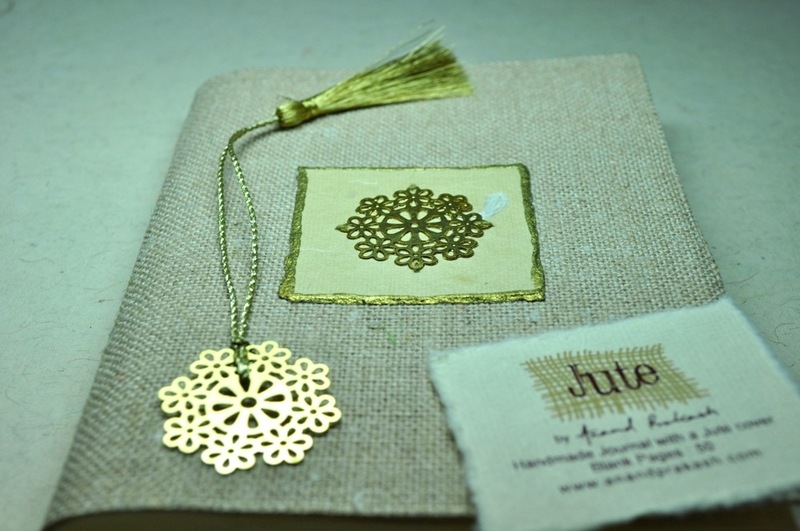 The pages too are made from pure jute fibre and have not been treated with any colour or dye; they get the off-white shade naturally while the jute rags are being beaten into pulp to make the paper. While I was exhibiting at Paperworld (Frankfurt) a long time ago, I had met a Bangladeshi gentleman who had the most amazing jute fabric and fibre. He was impressed with my work and so he offered to supply his entire range to me. At that time I was still an amateur so therefore nothing materialised. Here I am now with what I had imagined then.